Its nearing graduation time! I can’t think of anyone at the moment graduating this year but I’m sure there’s probably a few that I’ll hear about soon! Here’s a great card that I’ve made before using the spring card fold (tutorial found here). I always think of a graduation cap when I see this fun fold. How do you make the tassel?? Here’s another tutorial link that has a similar card (slightly different sizes) but full instructions for making the tassel: HERE! diddo I love this what a great card this is just wonderful. So cool!!!! 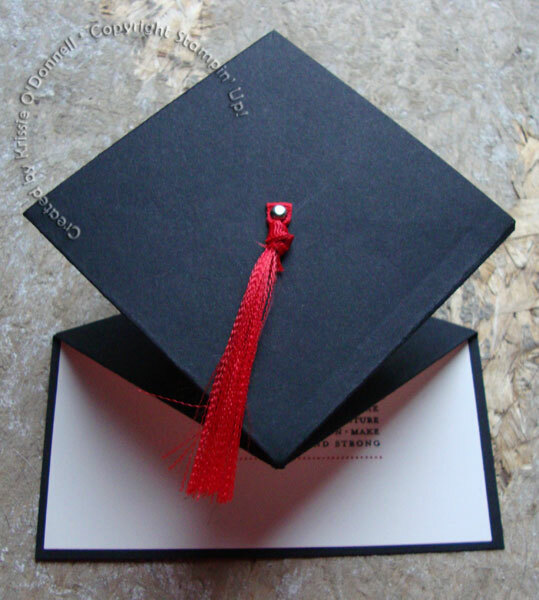 I have a card using this fold before, but never thought of turning it into a graduation cap. This is the perfect idea for this fold. TFS!! Thanks for the shout out Krissie! This card is awesome! 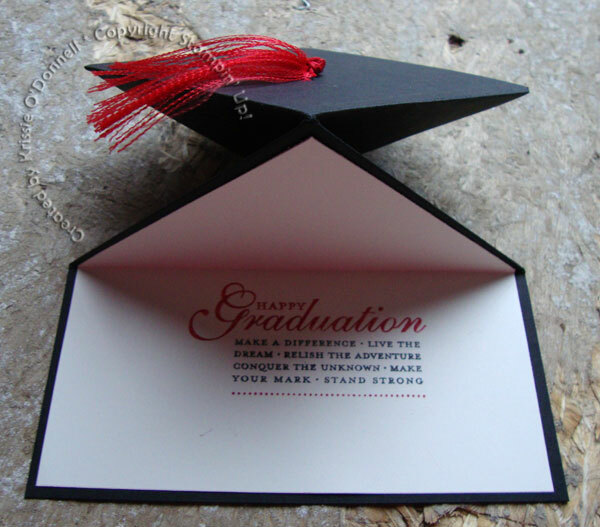 Could you send me the card dimensions because, I would like to demostrate your graduation cap card in my next class to stampinwsherri@cox.net. Thank you Sherri Moran SU Demonstrator.